Many people travel for vacation, going to the popular bars and attractions and participating in set tours. Some of us travel as a way of life; a way to experience new cultures, vistas, and flavors. If this is you, you might be disappointed in finding how commercialized and touristy Thailand can be. Don’t fret! There are always places to explore. If you’re not interested in seeing heaps of youngsters wearing neon “same same, but different” shirts, book yourself a local bus or train ticket and venture to these five unconventional tourist spots in Thailand. They’re like the rest of Thailand, but different. Discover Thailand’s agricultural roots. Less developed and away from beaches, you’ll find little to no other tourists in this region of Thailand depending on where you go. Expect to find spicy food and to hear the Isan language, which is a dialect of Lao. 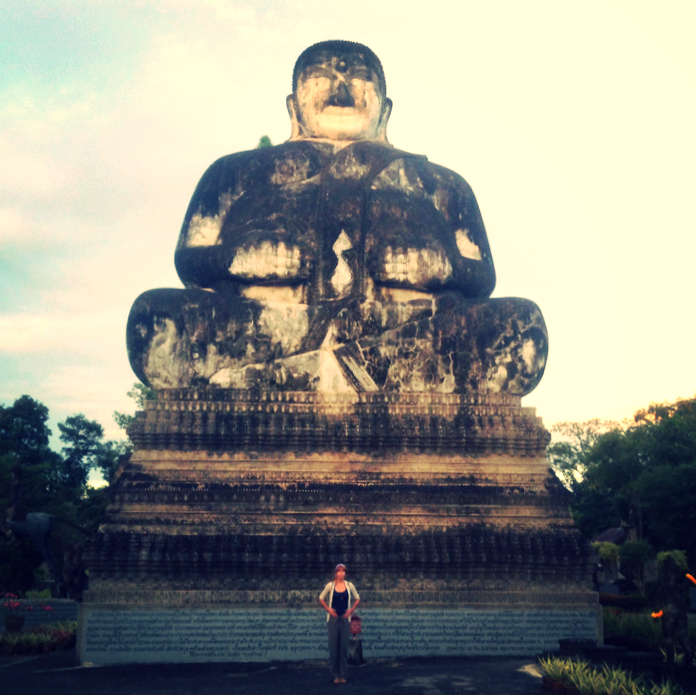 Visit the statues of Sala Kaew Ku,in Nong Khai. See Fireballs shoot out of the Mekong River during Buddhist Lent. Drink kaw nam lac, a local spirit made of rum, orange juice, and ground peppers. Warning: In the recent past the border area of Si Saket provenance has been dangerous due to an ongoing border dispute between Thailand and Cambodia. Research before you visit. Phanom Rung and Phimai Historical Parks are like Angkor Wat without the crowds. A temple made of beer bottles? Yes. Marvel at it in Si Sa Ket. Khao Yai National Park, Thailand’s first national park for a reason. Khloong Lan a village in Kamphaeng Phet provenance in the west of Thailand. Khlong Lan is mostly inhabited by the Karen People, and being near Myanmar, has a bit of a Burmese influence. You’ll see some of the men and boys wearing longyi, which are sarong-like clothing worn by men. Take the local bus in from Tak. By bus I mean a truck with benches in the back. This is where you meet locals and experience actual traveling, and not just touring. Resilience alert: The road is long and curvy. If you’re a bit of a wimp, or have a serious reason like neck or spinal injuries, take the cushy tour-bus. Try green tomato salad. It’s a Burmese specialty but is possible to find here. Also comes in an avocado version, one of my favorite foods in the world. Khlong Lan waterfall. Speaks for itself. A home to the Karen people and the Thai Yai. Occupied with misty mountains, historically, the area has been used for elephant training. Avoid the town, Nai Soi, which is set up like a human zoo. 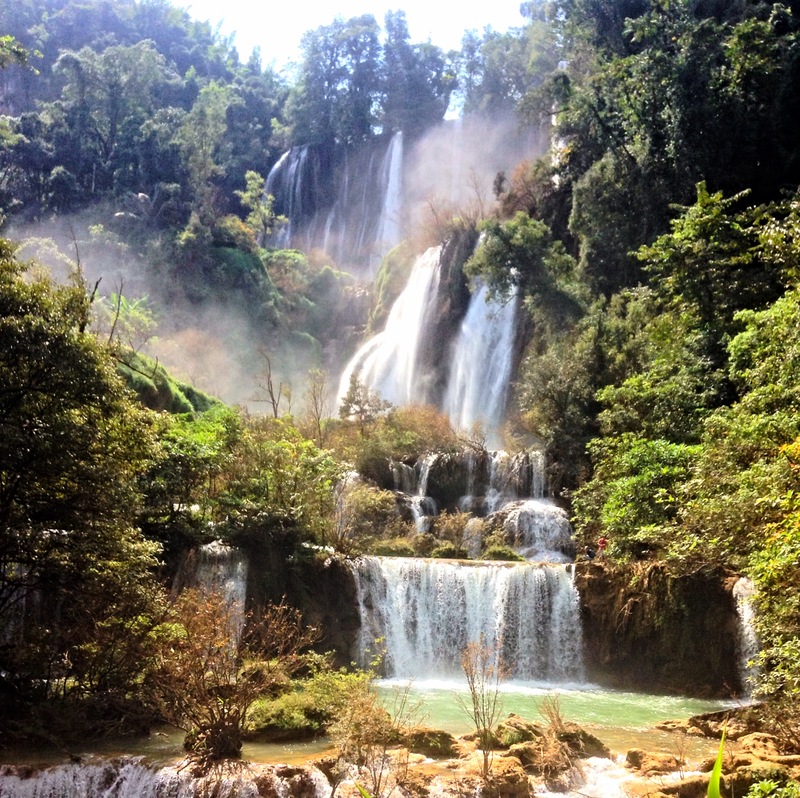 Namtok Mae Surin National Park and Mae Surin Waterfall. Pai. A lovely touristy town, worth it if you enjoy hanging out with hippies. Hitchhike. Yeah seriously. It’s the best way to meet locals, see places you otherwise wouldn’t, and the police and army will actually help you find rides. Be Safe, use common sense and don’t hitchhike alone if you’re a woman. 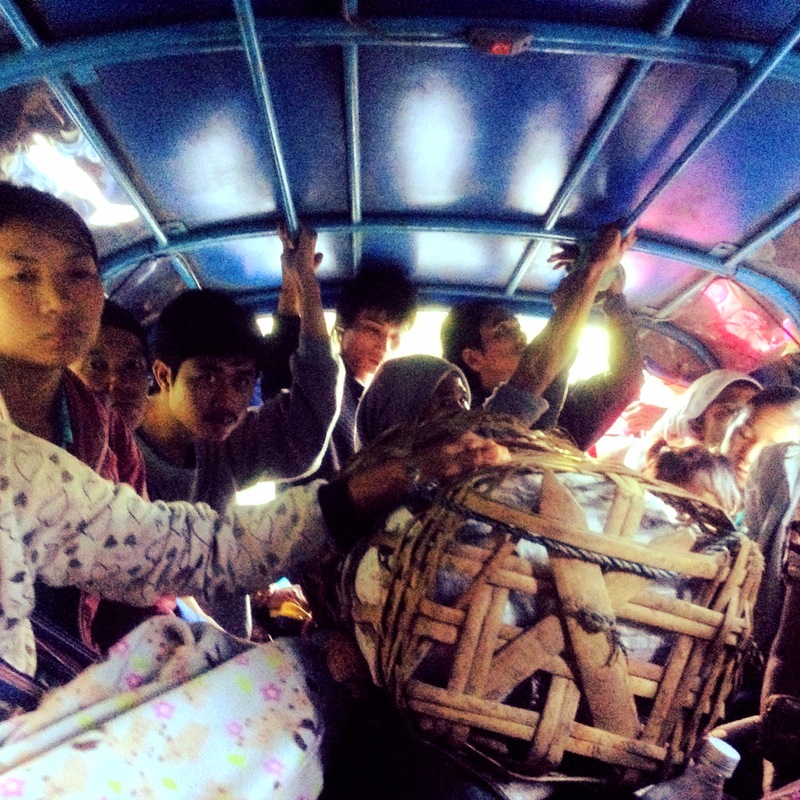 Hitchhiking adventure with beautiful Thai families. Nervous about venturing off of tourist paths? Check out our Travel Tips for inspiration.